Need to print this page and it's attached files? Download our printer friendly version here. Trade shows or other events offer a great platform to promote your business and the services or products you offer. However, there will be several other competitors aiming at the same target market. In order to stand out from the crowd, you need to have something special and do something different. One of the best ways to achieve this result is by using the green brochure racks, which also known as brochure holders. In this article, we will discuss the importance of the green display stands. It is an established fact that a lot of raw material is mindlessly wasted after building the ordinary brochure stands that are used for literaure displays in the tradeshows. Most of these stands are not used after the exibition show is over. This results in depletion of a lot of natural resources and leads to further mistreatment of nature. Therefore, it is always better to opt for the eco friendly stand. This has several added benefits to it. The stands not only help in conserving the raw materials and nature, but also aids in creating a favorable image of the company in the yes of the potential customers. You will be appreciated for your environment friendly promotion and brochure advertising solutions. The green literature holders are mostly made up of naturally available resources or recycled materials, which can be used again and are eco-friendly. The green and eco-friendly holders are built using materials such as recycled aluminum, bamboo, cotton and other such easily available raw materials. The retractable brochure racks are light weighted and this makes it possible to carry the display stand wherever you want. Another attractive feature of the stands are that they are not only environmental friendly but also very attractive to look at. When people find out that your company uses eco friendly stands at the trade show then this will give them the impression that your company is alert towards the environment. This also helps in creating a good brand image and attracts potential customers towards your company. If you looking for quality brochure racks with attractive design then give us a call or buy online from www.displays4media.co.uk. If you are particularly looking for brochure stands then you can choose from the various products which include Z stand, planet stands, and the bow stands. 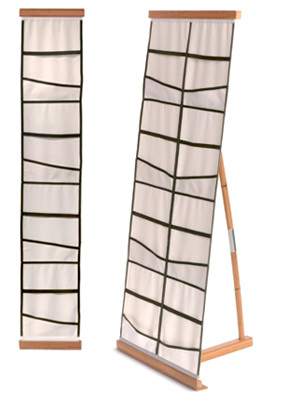 The Planet stands are manufactured mostly with bamboo, which is a fast growing and easily available material. The planet stands are made up of 100% natural sources. They enjoy a strong and durable life. These stands are perfect to be used for all types of trade shows. They are cheap as well as environment friendly. Next time your company takes part in a trade show or any kind of marketing campaign, ensure that you use a green display stand and see the effect it creates!